Today and tomorrow my friends! That is it! 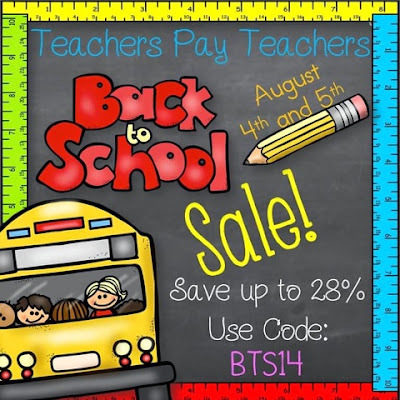 The big Back to School sale will include everything in my store! Yes that's right EVERYTHING is 20% off and if you use the code in the picture above, you can get an extra 8%! Don't miss it! Stop by!